Thank you for your interest in Strategic Coach®! Joe Polish has been a participant in The Strategic Coach® Program for 19 years and continues to grow his business exponentially. 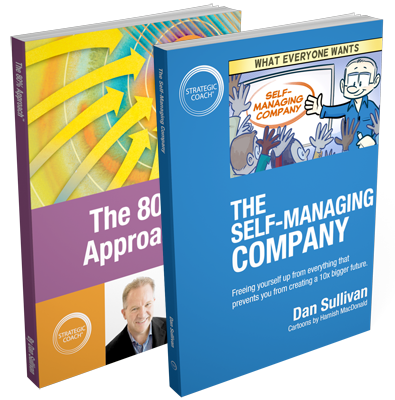 We’d like to share with you two of Dan Sullivan’s top-selling Knowledge Products that every entrepreneur can use to grow to their next level of success. To download your complimentary copies, simply complete the form.